On February 24, 2010, during a “Dine with Shamu” show at SeaWorld Orlando, 40 year-old orca trainer Dawn Brancheau was pulled underwater, scalped and dismembered by the park’s star killer whale, Tilikum. When such an event hits the news waves, everyone questions how it could happen. 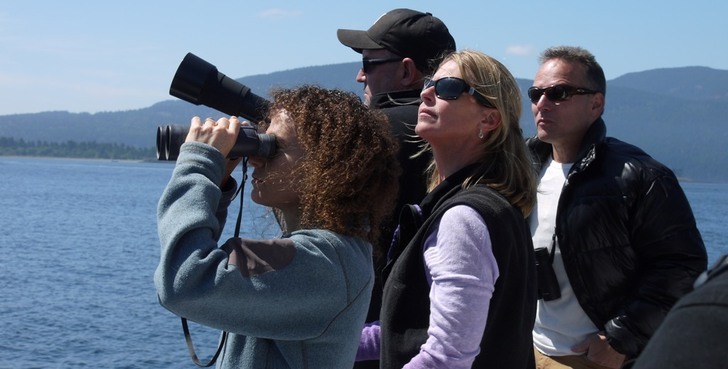 That’s where Cowperthwaite, a filmmaker who frequented SeaWorld with her family, started and it eventually motivated her to examine the horrific incident, resulting in “Blackfish”, a documentary that premiered earlier this year at Sundance. Anyone expecting the film to use heavy journalism though, will be disappointed. That’s something I was fine with, though, since Cowperthwaite hooks us, by giving screen time to former SeaWorld trainers, OSHA representatives as well as those familiar with whale hunting and Tilikum’s sordid past. 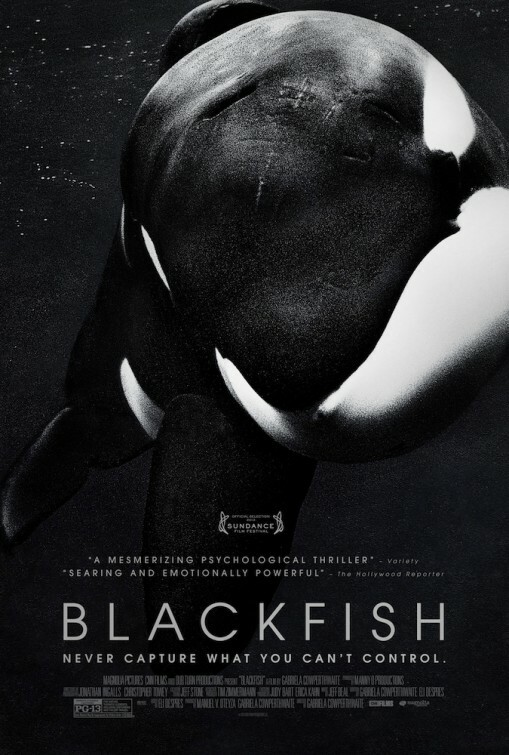 Through interviews, archival footage and expert testimony, “Blackfish” reveals predictably disturbing details regarding the capture and captivity of orcas and the expectations of the humans they interact with. The director also exposes the multiple gloss overs by theme parks and smartly relies on what the audience isn’t seeing to deliver a documentary that edges near the horror genre. There are multiple levels of disturbing to be found here, both in how these creatures are hunted down and then confined to a metal holding cell (the equivalent to a bathtub for them) and in how the other deaths caused by Tilikum were covered up. In one harrowing sequence, Cowperthwaite has a former whale hunter lament his job years ago, detailing how he and others would prey on the young, purposely separating them from the security of their family. We’re shown footage of such an occurrence, as the adult whales can be seen with their treading water and crying out due to their loss. 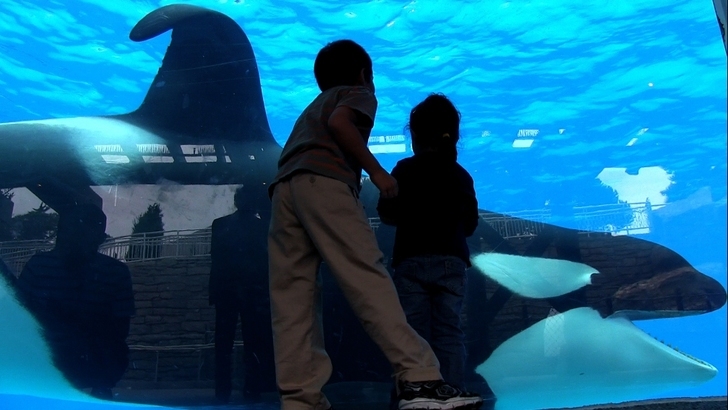 That young whale is then flown and placed in a theme park and placed in a pool with frustrated and restless orcas who had experienced the same ordeal. As we watch this, it’s hard not to imagine that happening to a human child. Taking these events in is even more compelling when we’re told by an expert that the orca’s brain is likely more developed than our own and how they’re capable of an immense emotional threshold. The mistreatment of Tilikum dates back to 1983, when he was hunted and captured off the coast of Iceland. He was then raised in Sealand of the Pacific in Canada aquatic attraction facility of reputable question. He was trained to go throw the motions for entertainment’s sake and then was left at night, with two older whales, floating in a tank with the lights out. Again, one cannot help but consider what goes on internally, for any being, under those circumstances. This is where whale trainer Keltie Byrne died on February 21, 1991, after she slipped into a tank holding Tilikum and the two other whales. Almost a year later, Tilikum was transferred to SeaWorld, without any of the trainers there knowing of his history. Just that he had come from a park that recently closed down. They were told he was aggressive, but trainable and valuable due to his experience and immense size (close to 13, 000 pounds). 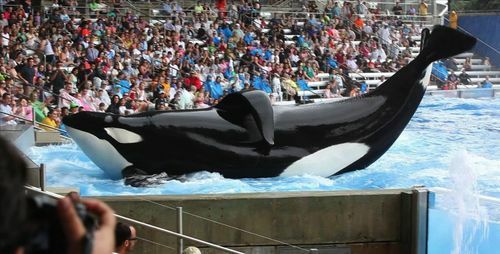 The bull orca was also wanted for what future revenue he could offer the popular theme park and therefore was forced to sire offspring, seeing them solely as profitable performers. Tilikum’s second victim, Daniel P. Dukes, died on July 6, 1999. He had visited SeaWorld earlier that day, stayed in the park after it closed and jumped in the tank, fully clothed. He was discovered the next day, floating in Tilikum’s tank. An autopsy would later reveal he had several contusions, abrasions and severed genitalia. The death was another notch in Tilikum’s reputation. Although he would comply with trainers and routines before a live audience, he clearly had a disturbed psyche. Was he unsafe and unpredictable? (Isn’t every wild animal trained by humans?) Sure. But he also brought much success to the vacation spot. As Cowperthwaite focuses on the Brancheau investigation, we learn how most of the SeaWorld trainers weren’t necessarily hired for their extensive marine biology background. There were physically fit, right out of college and excited about the prospects of training and performing with sea animals. It took a decade or two (sometimes less) for the trainers interviewed to share their discomfort with their former occupation. A few of them knew the victims and undoubtedly feel both grief and gratitude, knowing it could’ve been them making headlines. It’s no surprise the folks at SeaWorld did not partake in “Blackfish”. We only hear their perspective in the brief statements made during the court hearings involving Dade County, OSHA and SeaWorld. The film could’ve benefitted from a stronger voice from SeaWorld, even if it was a voice sympathetic toward the treatment of both marine life and the trainers. But the film is called “Blackfish” and the focus is on a particularly tortured orca (both mentally and physically) who has murdered and yet continues to perform at the Orlando park. Again, this isn’t indepth reporting here. Coweperthwaite aims to simply pull back the curtain and revel the story behind the summary given to us by the press. It’s hard not to think what the families of the victims feel about all this, but at least it is tastefully done and not gratuitously provocative. 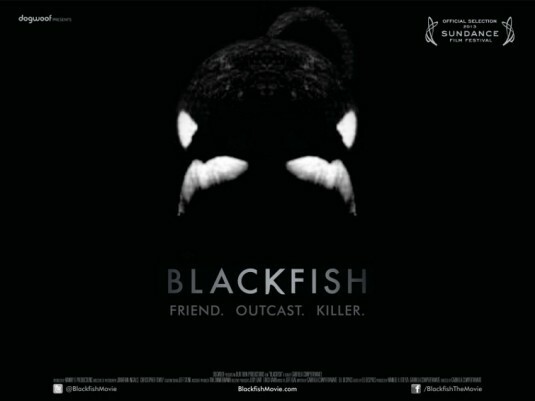 “Blackfish” does indeed provoke, in an unsettling and frustrating manner.